Students join Emma McDonald-Brown (fourth from left), her son Sherratt (front left) and daughter Arrabella (front right) to hand the cheque to Lisa Calvert (far right). Our students marked World Prematurity Day by handing over a cheque for £650 to Barnsley Hospital’s Tiny Hearts Appeal. 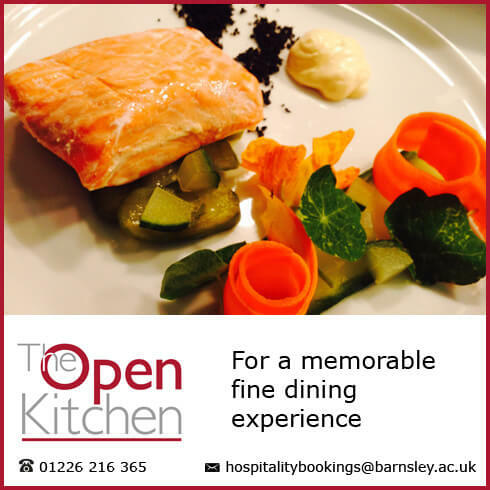 Students and staff from our Childcare and Education Professions department raised the money by hosting a black tie and ballgown charity ball at the Holiday Inn in Barnsley. 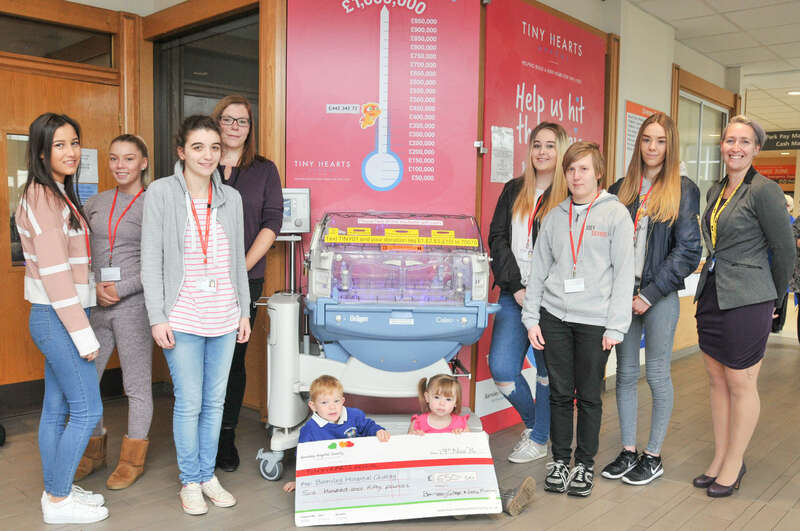 The department chose to support the Tiny Hearts Appeal as tutor Emma McDonald-Brown’s four-year-old son Sherratt was cared for by the Special Care Baby Unit (SCBU) at the hospital when he was born prematurely at 31 weeks due to preterm premature rupture of membranes (pPROM) at 21 weeks. The hospital’s SCBU also cared for Emma when she was born at 32 weeks gestation. Emma is the National Coordinator for Little Miracles UK, a charity supporting the families of premature and sick babies. Marsha Davies, the founder and CEO of Little Miracles UK, travelled from her home in Wales to help with set-up duties prior to the charity ball, which included a raffle. Emma said: “Sherratt wouldn’t be here without the care and monitoring I received during my pregnancy up until delivery and the medical attention he received during labour and after delivery. “This money is valuable as the SCBU is trying to purchase new, state-of-the-art equipment to provide an even better standard of care for the special care babies and the most comfortable environment possible for families and staff. World Prematurity Day is a global movement to raise awareness of premature birth which takes place on 17 November each year. Visit the Childcare and Education Professions department page to find out more about childcare and education courses.